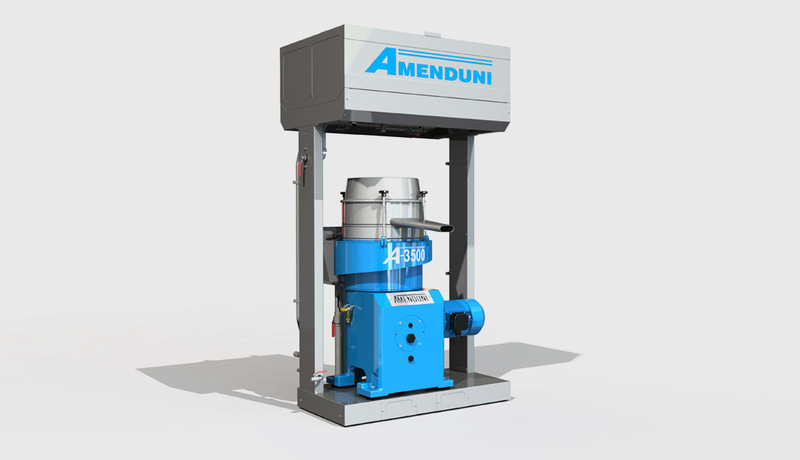 An automatic sludge discharge system and separator washing with manual/automatic options. A control and regulation device for the oil and water feed. 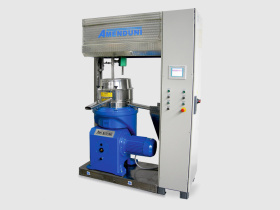 Vertical centrifuge for the olive oil clarification by the elimination of the eventual solid particles and water droplets. 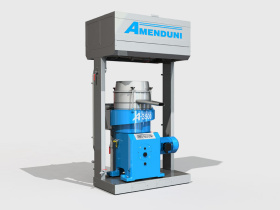 The separator is equipped with an electronic system for the starting and the speed control, and a column with a great number of variable thickness stainless steel disks for the phases separation and an automatic sludge discharge system. 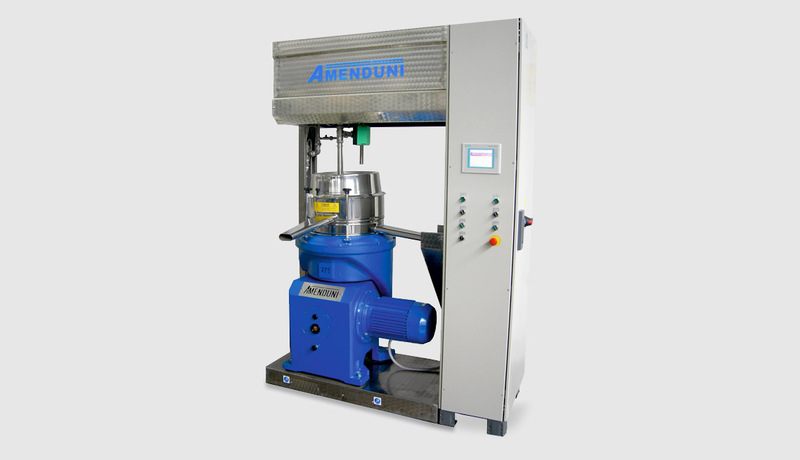 This high speed rotating centrifuge is made according to the EC and international standards for both the material choice and the construction. The Separator is mounted on a stainless steel platform provided with a steel tank for the regulation of the must feed to the separator. The output oil from the separator is ready for the storage.